DeAgostini is one of the largest European publishing groups founded in Italy in 1901. 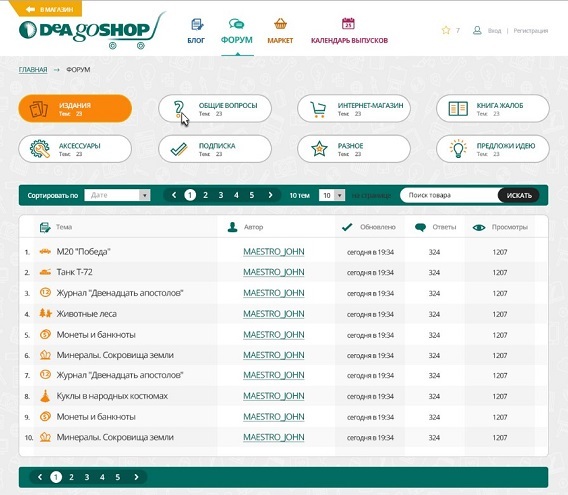 Our team designed the official DeaGoShop store functions and created unique responsive design for store front-end, community forum, marketplace and so on. DeAgostini is the large brand with 100 years of history, one of the leading publishing houses in Europe. The company is famous for its various educational and entertainment partworks (weekly periodicals with collectibles). 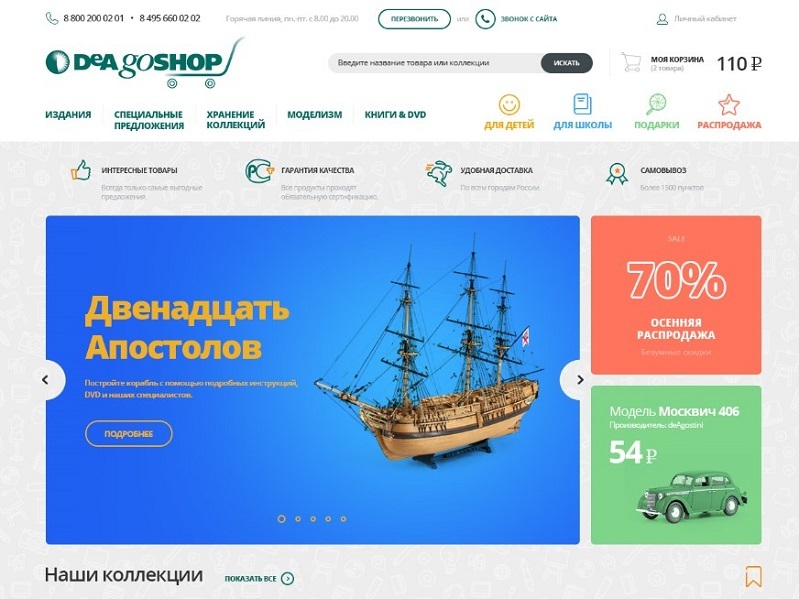 We designed the official DeaGoShop store where you can buy collections on-line as well as communicate with people and exchange the collectibles. 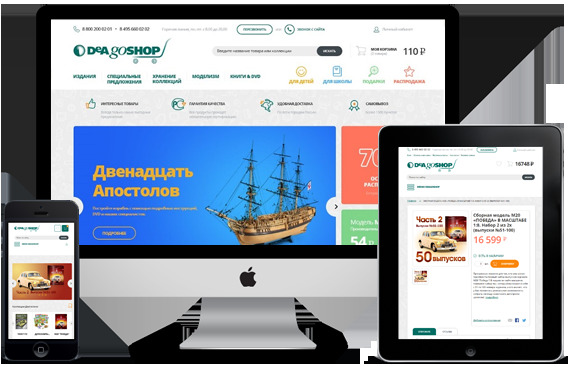 All website sections have unique responsive design which ensures easy reading and navigation on all modern mobile devices and displays with any resolution. 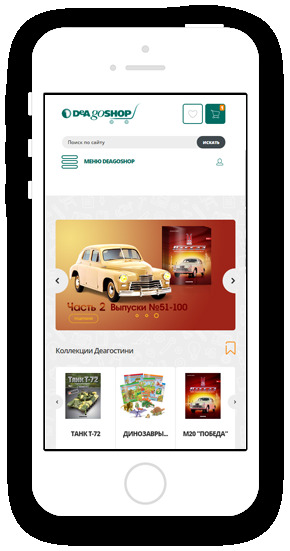 The website features the on-line shop unit which demonstrates all the publications with collections sold in print. 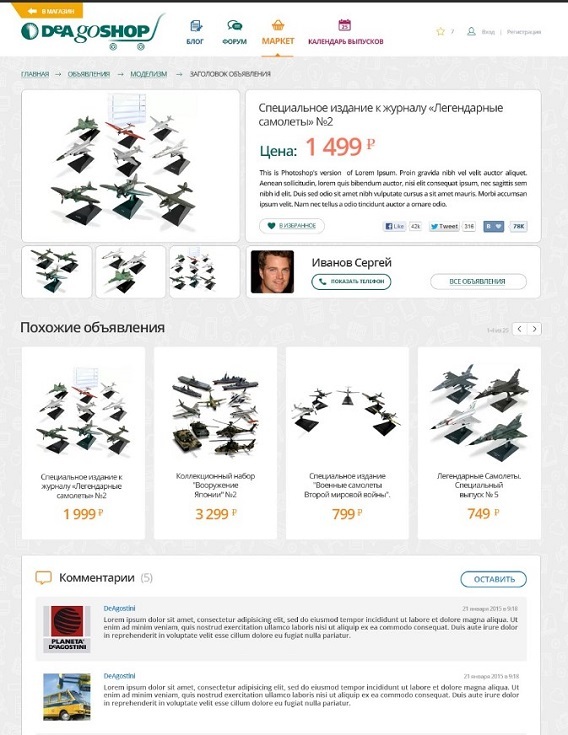 Each page of the shop features the "recommended products" block. 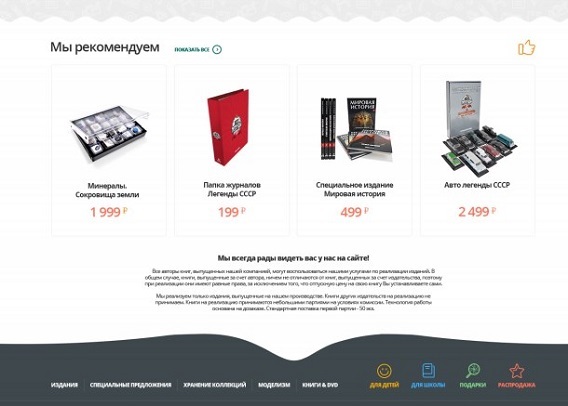 This helps to emphasize the bestsellers and stimulates sales. 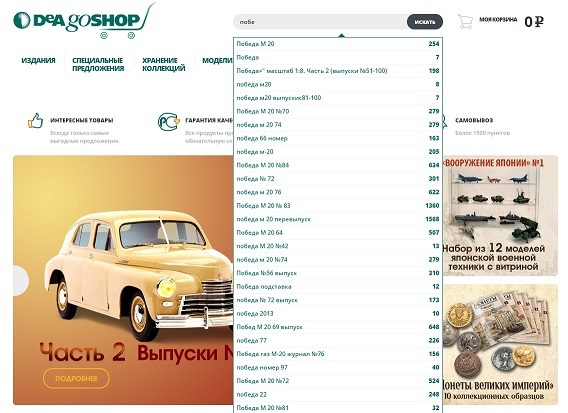 On the DeaGoShop you can not only purchase new models, publications or collectibles but also sell or exchange the repeats in your collections. 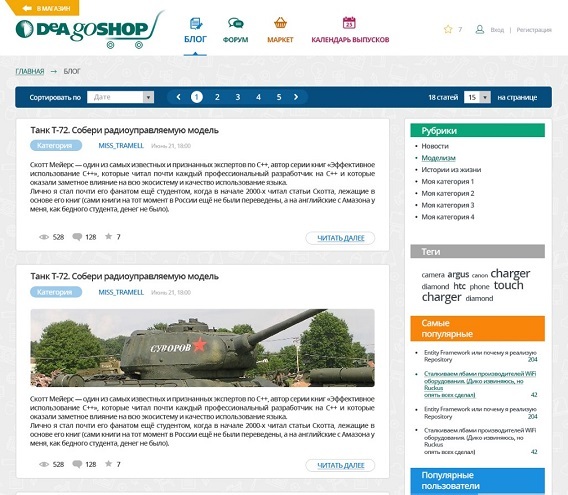 The DeaGoShop official blog is integrated into the store and has responsive design. DeaGoShop customers can find the latest news there, share and read the articles with any mobile devices. The official community forum creates the unified basis for communication and increases significantly the brand loyalty. Integration with the full text search platform with the dropdown hints function.